After waiting and praying and waiting and praying for what seemed like an eternity… in a court thousands of miles away, a judge read our paperwork and said “yes”. Nikolay was finally a Hawley! We are Patrick and Kristen Hawley. We have been married for 13 years and have been blessed with three wonderful boys, who are all full of life, curiosity and energy. Aidan is our oldest at 8 years old, Colin is in the middle at 6 years old, and our youngest child, Niko, is 3 ½ years old. Niko joined our family 6 months ago from the country of Bulgaria. We are also anticipating the addition of two more Bulgarians to our family and are about 7 months into our wait for a referral. When asked to share our adoption story, it’s hard to know where to start because the story began to unfold long before we signed our first paperwork. Our eyes were first opened to the idea of adoption before our first child was born. Good friends of ours brought two little boys home from Ethiopia after having three biological children. It was the first time we had ever known that people adopt for any other reason than infertility. God used those sweet Ethiopian boys to put a face and name to the 147 million orphans in the world. They were no longer just a number. As we watched their lives, a door was opened to a world we did not know existed until that point. 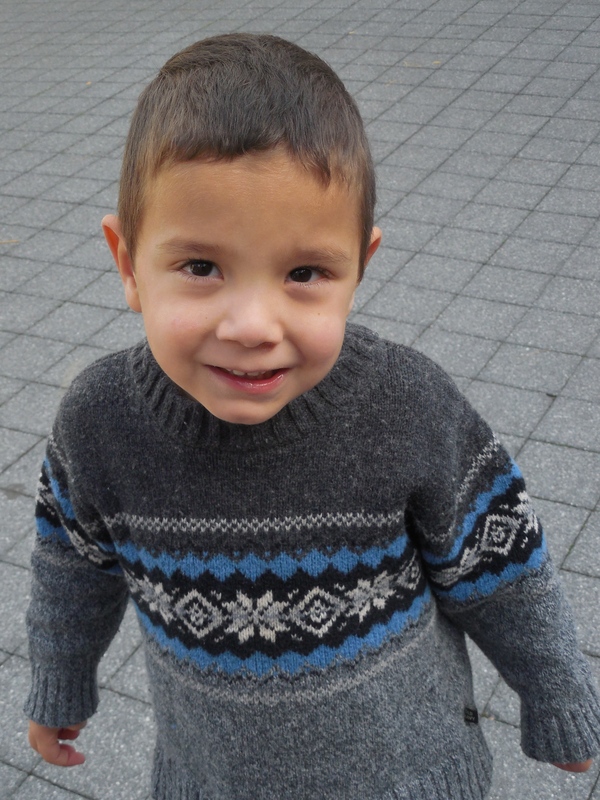 For the next several years, God continued to open our eyes to the need for adoption. He gently but relentlessly whispered to us that adoption is the heart of our heavenly Father, and if we were to become more like Him, then caring for the widow and orphan was a requirement. So after years of preparing our hearts, God made it clear that it was time to start the process. How we landed on Bulgaria is a story in itself. 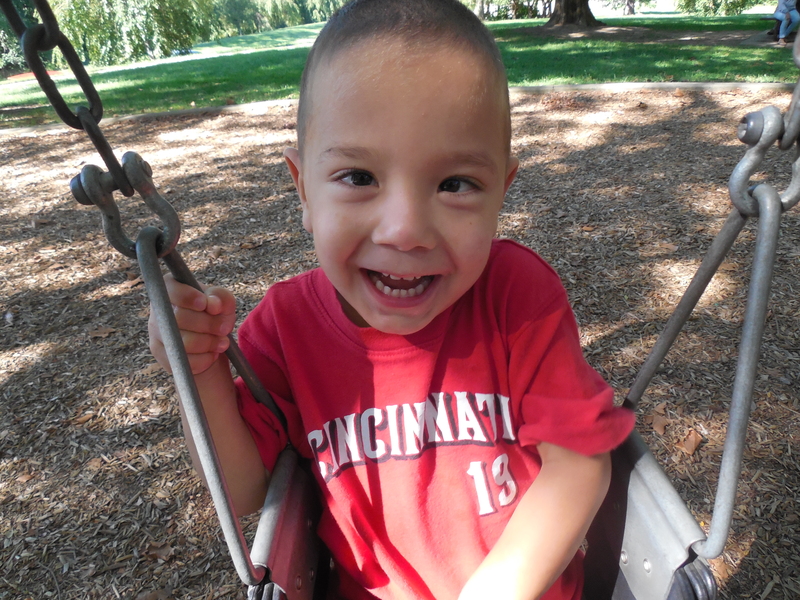 After feeling that it was time to start the process, we entered the adoption journey completely naïve. We did not have a preference as to where we would adopt from, and thought that we could just fill out one form and whichever country had a child available first, that is where our kids would be from (hysterical, right?!). After a few phone calls, we realized that maybe the process would be a LITTLE more complicated than we had thought. We started researching countries and very quickly became overwhelmed and discouraged. We then began praying that God would lead us where He wanted us to go, that He would open the doors He wanted opened and close the doors He wanted closed. Because of many horror stories we heard from friends about corruption in their adoption processes, we decided to first find an agency that we could trust. Using recommendations from other adoptive parents, we spoke to many agencies and chose MLJ as the agency we wanted to work with. Then we checked into the different country programs and found that Bulgaria was the best fit for our family. Just like that, our prayer was answered. Many doors closed and one door stood open, waiting for us to walk through. We then grabbed a map to figure out where in the world Bulgaria was! It took over two years from signing our first paper to receive the email we had waited for. We opened the attachment to find a picture of a sweet toddler boy staring back at us. It sounds like the “happily ever after” should come next, but the end of journey was still a long way off. We quickly purchased tickets to fly halfway around the world, and three weeks later, we met our son. We walked into a rundown Communist-era government building, and there he was… the one we had been waiting for! It seemed as though he knew the way the story was going to end because he came to us right away with no hesitation. We savored every moment we could with him for five days and then our hearts broke as we had to say goodbye and return to the US without him. Bulgaria’s law says we have to be with him for five days before we can start the court process. We then returned home while our agency represented us in court to finalize the adoption on our behalf. After waiting and praying and waiting and praying for what seemed like an eternity, we got the call that on July 14th, 2 1/2 years after we signed our first papers, 20 months after we were put on a waiting list, five months after we saw his picture for the first time and our hearts melted, four months after we traveled halfway around the world to meet the son we had already grown to love, in a court thousands of miles away, a judge read our paperwork and said “yes”. Nikolay was finally a Hawley! We traveled back to Bulgaria a few weeks later, along with our two biological boys, and on August 11th, we were together as a family of five for the first time. It had been seven years since God had first planted the seed of adoption in our hearts. The journey had been long and trying, but so good. Adoption is similar to bringing home a newborn. It rocks your life completely in so many ways. It’s now been six months. That’s long enough that we are finding our new normal, and we forget what life was like before Niko. Some days have been really hard. I knew that he would come home speaking no English, but I didn’t realize how frustrating that language barrier would be. The hardest part was about six weeks into the adoption when the “honeymoon stage” ended. Niko had quickly picked up enough English that he understood everything we were saying, but he had few words to communicate to us. This frustration was more than he could bear and we had several weeks with lots of tears. But as the language continued to develop, the tears lessened. Now the joyful days far outnumber the hard days, and we are seeing our sweet boy’s personality starting to shine. But through it all, he’s ours to love and parent and train. He’s not a blank slate. He has baggage we haven’t even uncovered yet, but we have a lifetime of loving on him to figure it out. There is a Bible verse in Ephesians 3:20 that refers to God as “Him who is able to do immeasurably more than we could ask or imagine…” That’s the verse that we think of when I try to sum up this process. Immeasurably more excitement. Immeasurably more hard times. Immeasurably more molding of our hearts. Immeasurably more love for a child we did not birth. Immeasurably more joy than we ever dreamed possible. This isn’t the end of the story. We are convinced that this is only the beginning. 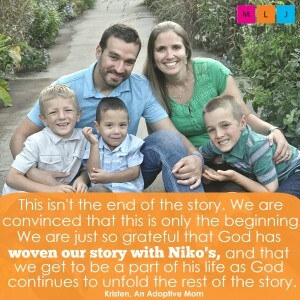 We are just so grateful that God has woven our story with Niko’s, and that we get to be a part of his life as God continues to unfold the rest of the story. For more information on adopting from Bulgaria, please contact us.